New Year's Day is observed on January 1, the first day of the year on the modern Gregorian calendar as well as the Julian calendar used in ancient Rome. With most countries using the Gregorian calendar as their main calendar, New Year's Day is the closest thing to being the world's only truly global public holiday, often celebrated with fireworks at the stroke of midnight as the new year starts. 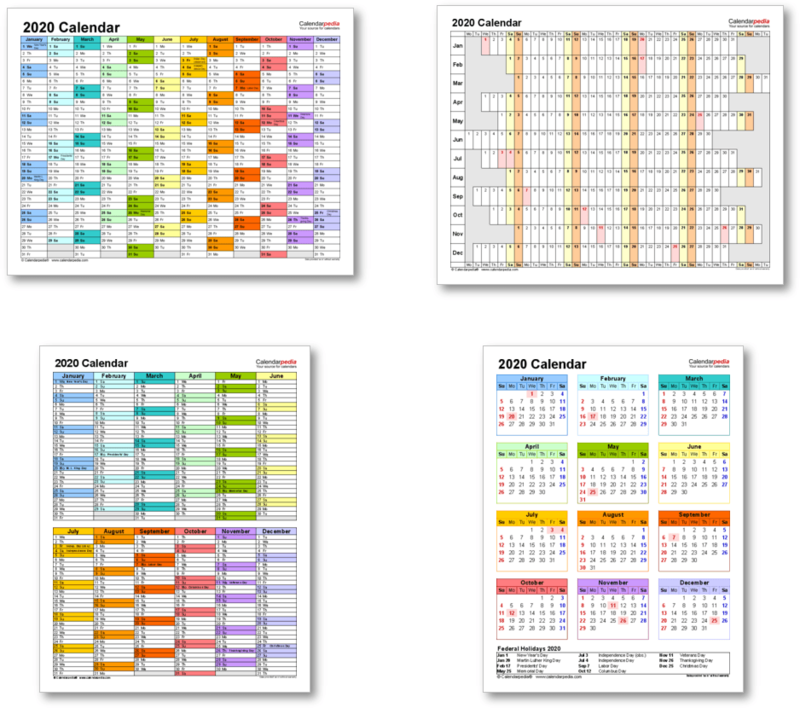 Celebrations such as parades, concerts, church services, family meals etc. are held world-wide on January 1 as part of New Year's Day. 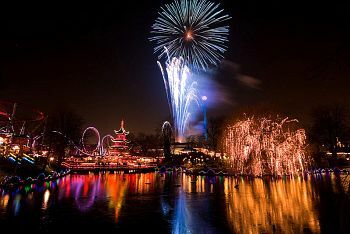 Many celebrations start the day before (on New Year's Eve) and go on past midnight into January 1. 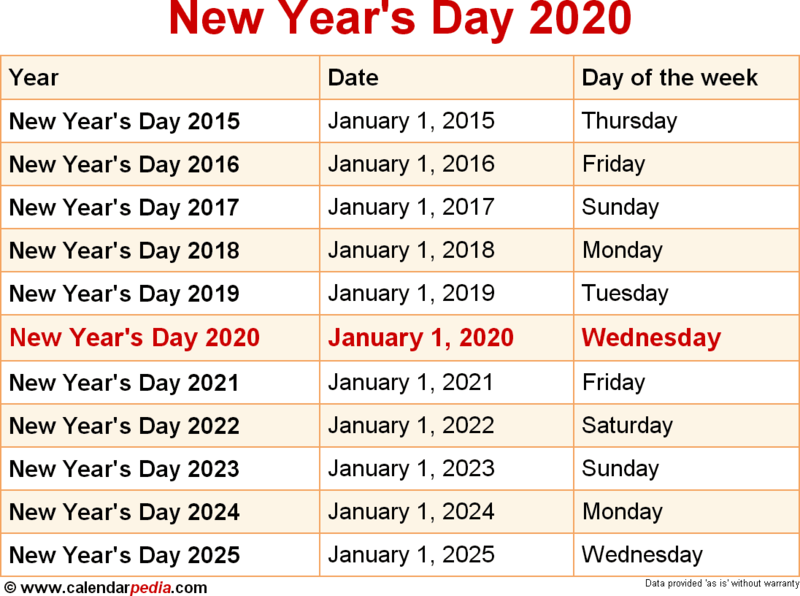 When is New Year's Day 2021? The next occurrence of New Year's Day is marked in red.